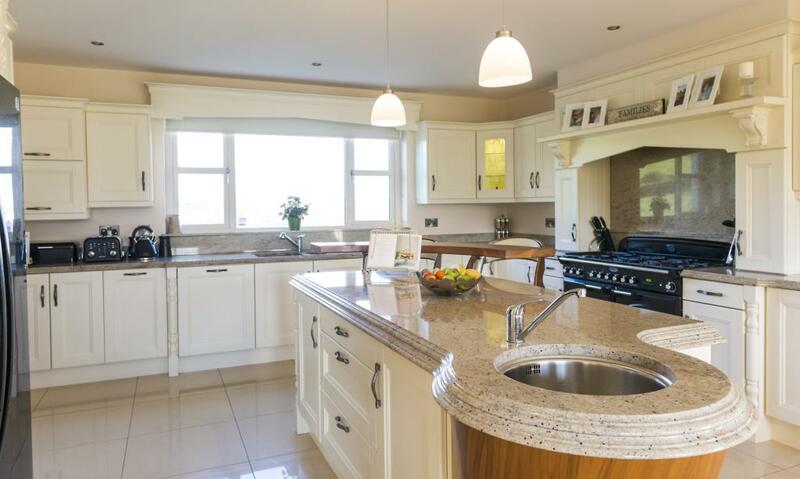 This is an ivory painted kitchen built out of ash wood with a touch of walnut. 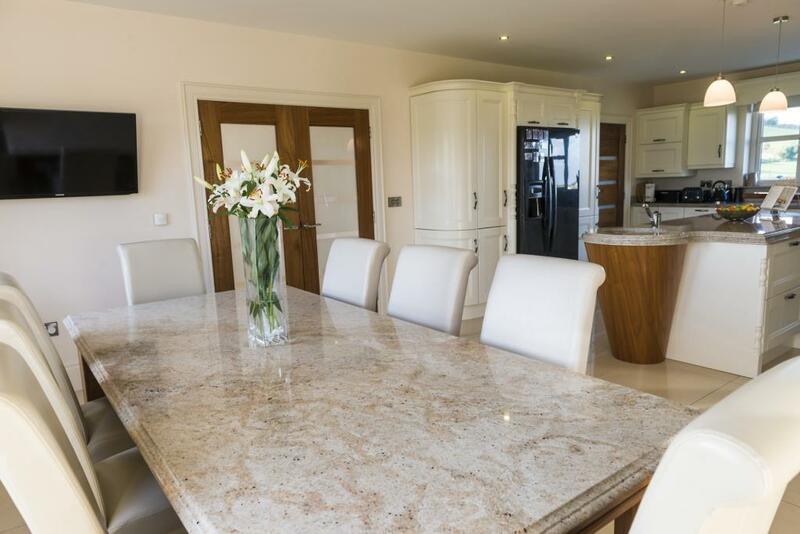 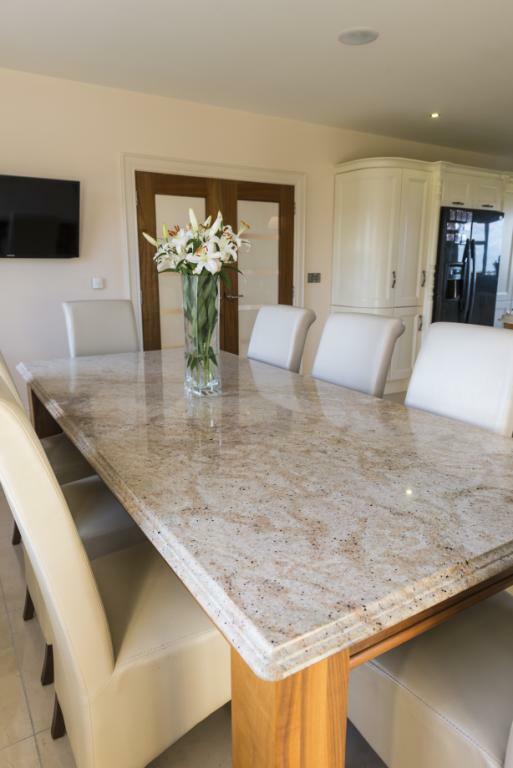 The worktop is ivory fantasy granite. 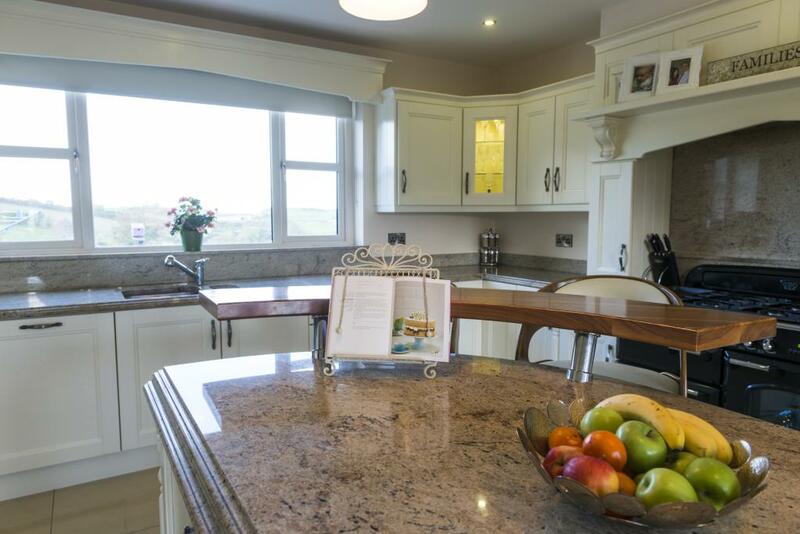 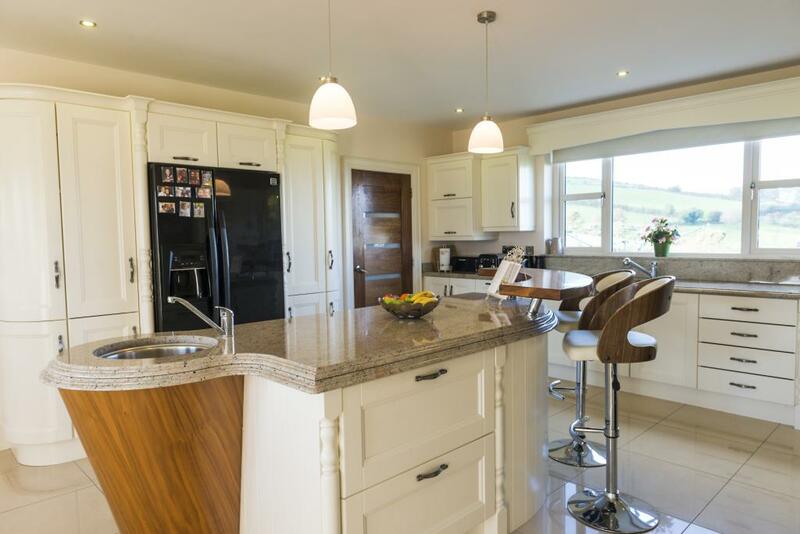 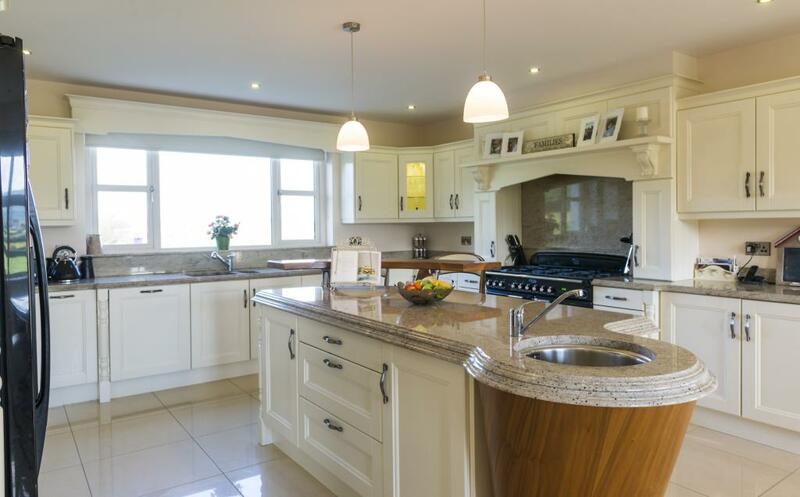 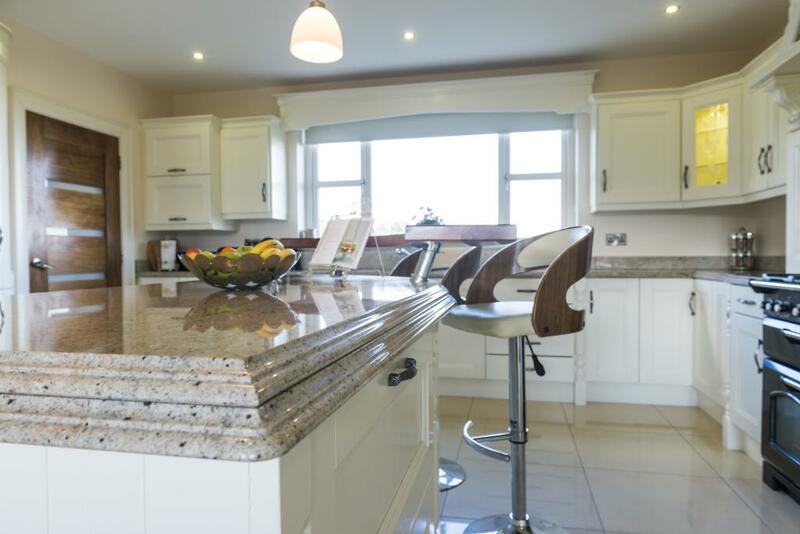 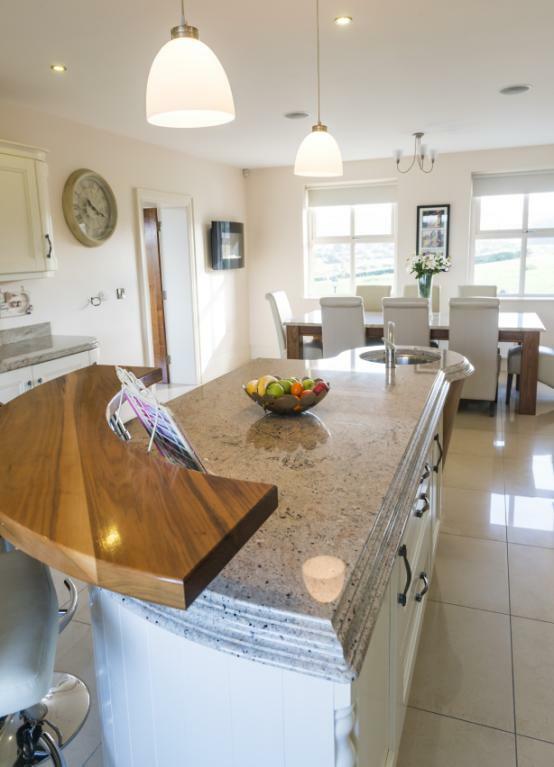 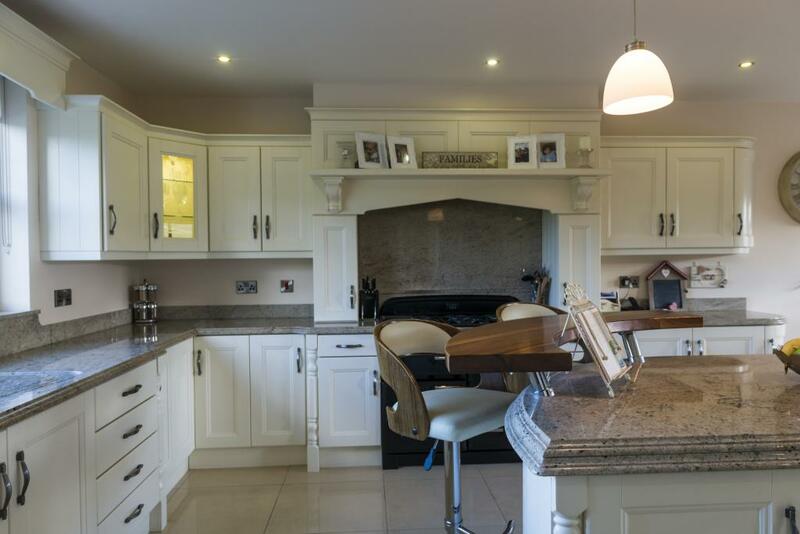 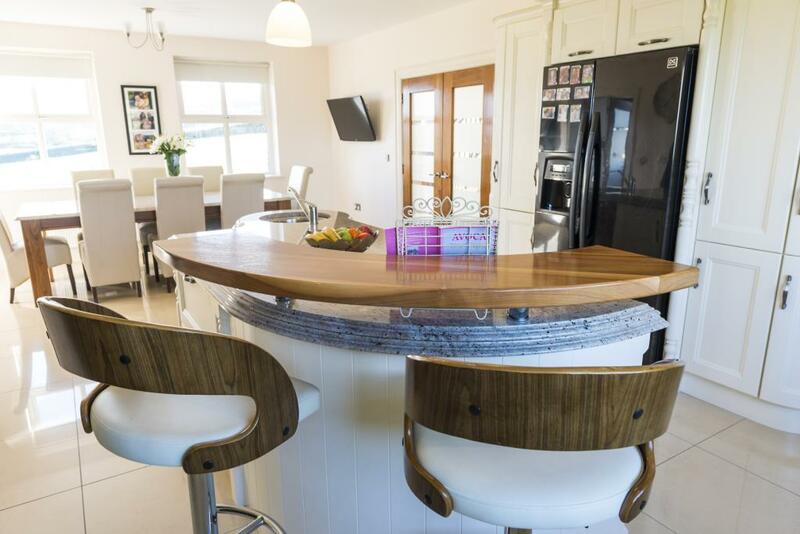 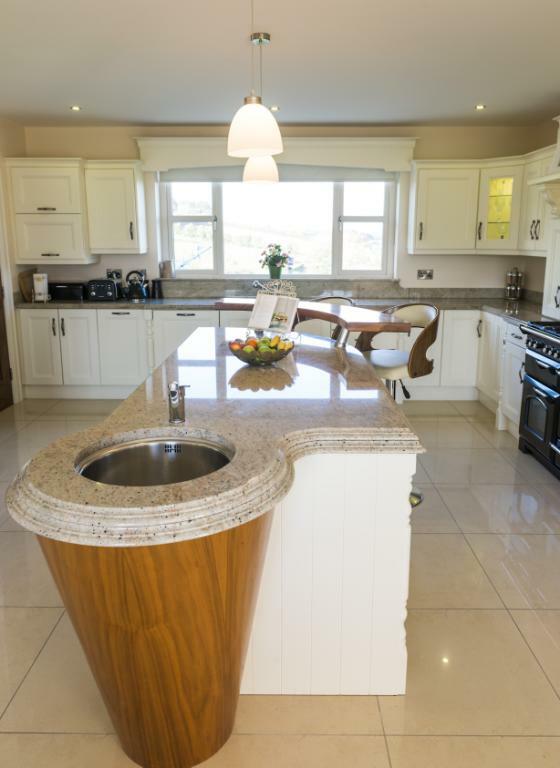 We used 60mm granite on the island which adds a nice depth to the kitchen. 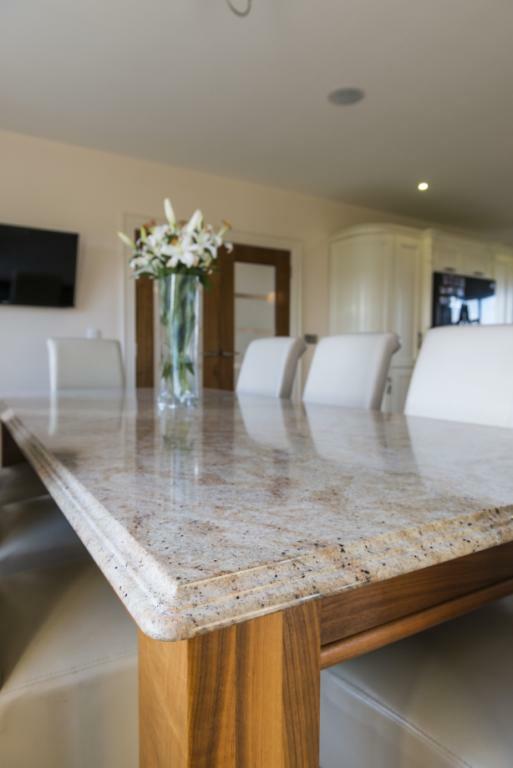 The walnut table has a granite top with a domus edge.